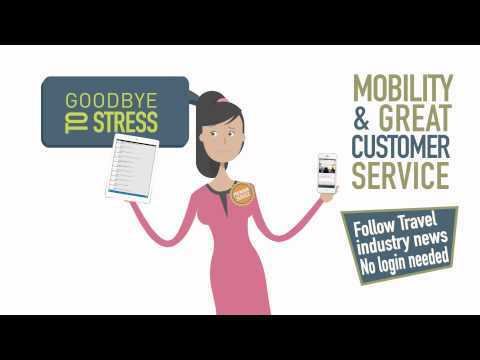 Travelport Mobile Agent is a mobile application that provides access to all Travelport GDSs, allowing travel agents to work on their Apollo, Galileo or Worldspan cryptic terminal on the major mobile operating systems, iOS, Android and Windows Phone smartphones and tablets, offering full mobility to the travel agent in a secure environment and with an optimized user experience. Leave your laptop at the office and access Galileo, Apollo or Worldspan through your mobile devices when you are on the go. Log in using the same, secure credentials as you currently use. 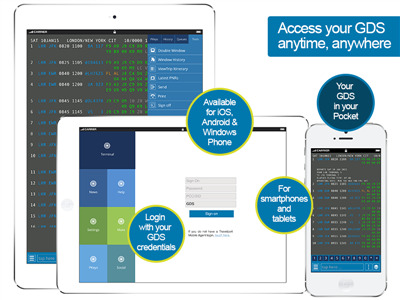 Create, access and work on current bookings stored in your system anytime, anywhere and be as mobile as your clients. 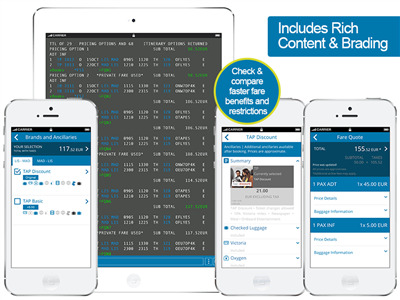 Access Rich Content & Branding and easily check and compare what each price includes. 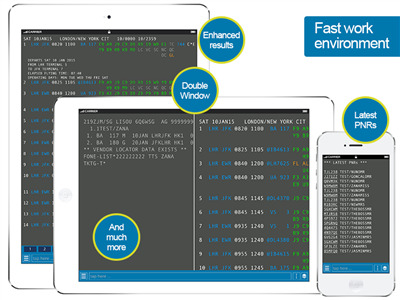 Configure programmable keys to perform complex commands and use double window to work faster. Continuity allows you to change devices or go to TTS Web Agent and pick up where they left off.